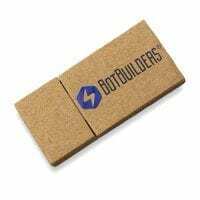 Why are custom flash drives THE BEST marketing and promo tool? Well, it comes down to longevity. Ask yourself a question… when was the last time you threw away a working piece of computer equipment? Have you ever done it? Ok, ok, there’s that old school desktop you held onto forever and a day, because it worked. It just sat there. Looking at you. And you looked at it too. Wondering, “When am I going to get rid of that thing? It still works, but I can’t throw it away!” Finally, at some point, you learned about electronics recycling programs in your area and you disposed of the good ol’ machine responsibly. Good on you. What Makes Every USB the Best Place to Buy Custom Flash Drives? People, Products, Process & Price. Simply… we care about our customers and their projects. We feel that our performance reflects on our lives. It can’t be taught and it can’t be bought. But, test it for yourself. You can tell when we answer the phone that we want your business. Not just today, but tomorrow too. The way we get it is by being very competitively priced, applying our experience to your project and delivering on your expectations. We do this in case you are buying 100 units or 10,000. These are more than just nice words. Call us at 866-458-8415 or get a quote from any model on the custom flash drives page. We’ll be more than happy to prove this to you. We handle price the same as the rest of our offerings. If we’re competitive, we’ll earn your business. If we remain competitive, we’ll keep your business. It’s quite simple. There is no obligation to get a price quote from us. Most times we beat the competitor’s price. Sometimes we’re tasked with matching a competitor’s price quote. Nearly every time we tackle that task. But, let us know about your project so we can give you a quick price quote. The flash memory commodity market is always in a state of flux. We cannot publish prices on our website as a result. But let us know about your project. 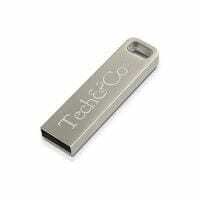 Browse the custom flash drives page to get a quote or call 866-458-8415. We’ve made it easy! Once you place your order, we’ll provide you with instructions to submit artwork and data. We have an easy to use web interface for your data files. Your salesperson will be able to help you through the entire process. They’ll ensure your milestones are on track and your deadline is met. You’ll have opportunities to approve your artwork, your data and the entire process can be handled over email. Sometimes larger orders require live sample proofs of the entire finished product before mass production is approved. No problem. We’ll ship it to you overnight, so you’ll get it fast and know that everything is going to ship perfectly. Give us a call at 866-458-8415 and we’ll help you Find Your Drive™ at Every USB! How Do I Order Custom Flash Drives? 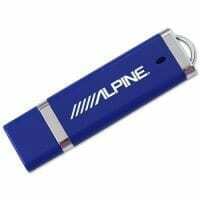 Browse our growing list of bulk custom usb flash drives to search for a model that interests you. Call 866-458-8415 or Get a Quote from any flash drive page.